Istanbul (AFP) - Fans of chocolate spread Nutella or the hazelnut-filled Ferrero Rocher could soon be facing rising bills for their nutty treats because of poor weather in Turkey. Prices of hazelnuts have surged in recent weeks after cold late winter weather and bitter frosts caused a poor harvest in the nut's chief exporter Turkey. The rise has been so sharp it risks driving up the prices of popular consumer products like chocolate spreads or nut-filled chocolate bars. Half of Turkey's exports go to Germany and Italy, the headquarters of the Italian giant Ferrero, which owns brands like Nutella and Kinder and is the world's largest buyer of hazelnuts. Ferrero said in a widely-reported statement that it was "tracking this issue closely and there's no foreseeable impact on the availability of Nutella". 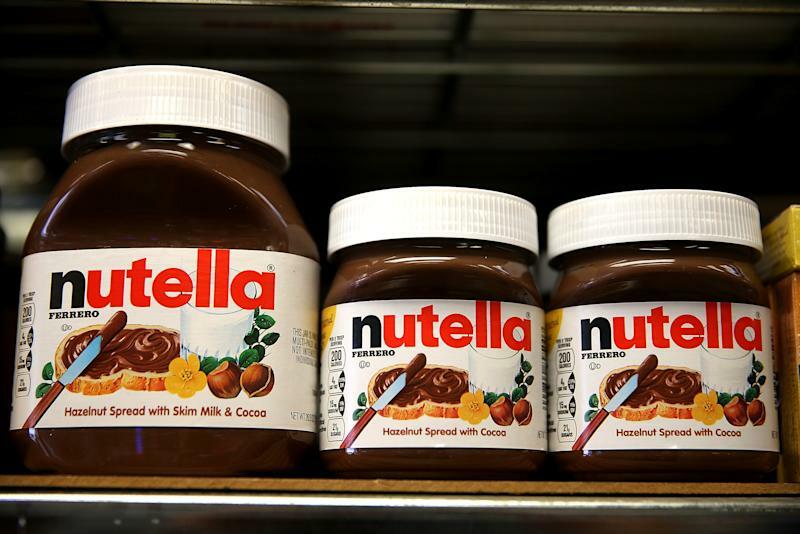 It may seem strange that the price of Nutella could be the victim of a cold snap on Turkey's Black Sea coast, which is the hub of the country's hazelnut industry. But this is the bitter reality after four hazelnut-producing Turkish provinces on the Black Sea -- Giresun, Trabzon, Rize and Ordu -- in March were hit by storms and unusual freezing weather, which destroyed part of the harvest. Production of hazelnuts in Turkey usually amounts to 590,000 tonnes a year -- three-quarters of global consumption. But this year production is set to fall to 370,00 tonnes, according to Turkish producers. The fall in supply has already led to a spike in wholesale prices, which have climbed some 80 percent. "Last year, the price of a kilo of hazelnuts was around six Turkish lira ($2.75). Now it has reached 11 lira ($5.0)," said Nejat Yurnur, head of a hazelnut factory in Ordu. Ilyas Edip Sevinc, head of the exporters confederation for the Black Sea region, said hazelnut groves lying at an altitude of 300 metres (1,000 feet) had lost up to 80 percent of their crop due to the bad weather. "We are expecting a fall in our sales, even if we don't yet have exact figures," he said. Sevinc warned that the problems would have a knock-on effect on the global chocolate industry. 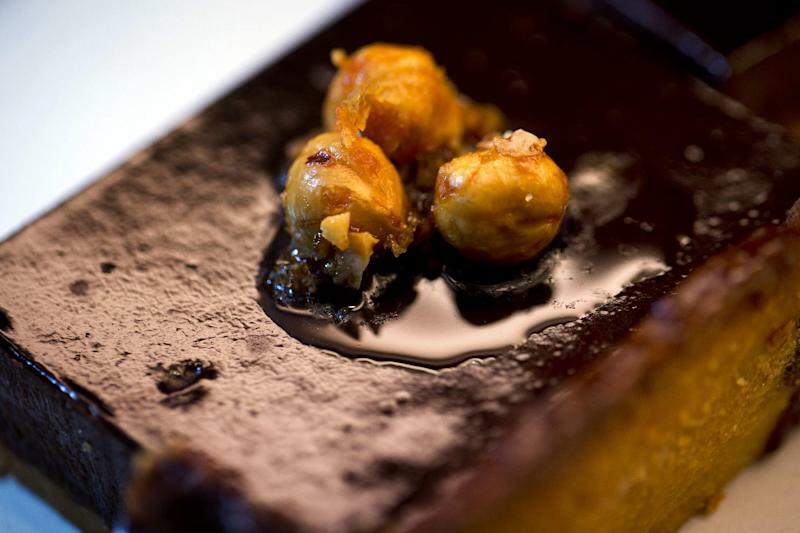 "All the hazelnuts sold in Turkey for abroad are used solely by the chocolate industry," he said. The head of the chamber of agriculture in Ordu, Ugur Corut, said that Turkish markets would remain well-supplied, but international buyers would suffer a major hit. The price of Nutella and other sweet hazelnut products rose when similar freezing weather hit hazelnut production in 2003 and 2004 in Turkey's Black Sea region, according to Turkish media. "Turkey exports hazelnuts to 120 different countries because these Turkish nuts are delicious," Corut was quoted as saying by the Dogan news agency. "This season there is a shortage of hazelnuts in Ordu and Giresun. This situation will hit the world market. The nuts that we have from this season (2013-2014) will satisfy the Turkish domestic market," he added. One of Turkey's biggest confectionery producers said it would continue to buy hazelnuts, but it would have to be in smaller quantities than before. "We will continue to buy hazelnuts but by reducing the quantity bought," said Mahir Bas of ETI. "The price of the chocolates could of course increase as the cost of goods sold has already gone up," he said.